Posted in Schools and tagged digital, education, Teachers, Teaching on December 5, 2014 by Shonali Ganguli. 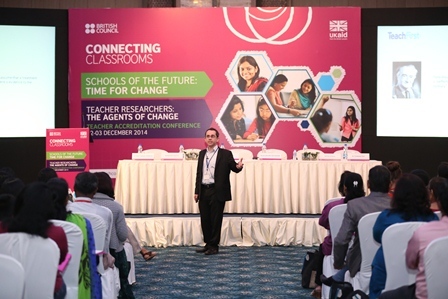 Action Research success stories by accredited teachers were in focus on the second day (3 December 2014) of the Teacher Accreditation programme organised by the British Council in Delhi . 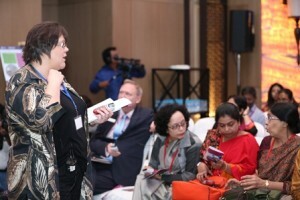 The first session chaired by Dr Angela Cook included discussions on International Learning and Global Education where action researchers addressed global issues in the education domain prevalent in most countries and how they are being addressed internationally. The researchers experienced that kids learn better when they are empowered and given responsibilities, whereby they can interactively mix with other children, be more confident and innovative in their thinking and actions. Not only children but this serves as a learning process for teachers as well. 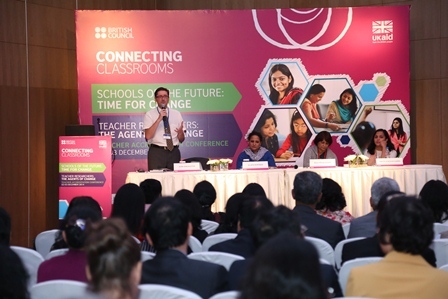 The other simultaneous session chaired by Arijit Ghosh focussed on discussing digital Innovation in the classroom to enhance learning capacities. Action researchers through their experience learned that digital games are a smart way to teach, learn and map what is being taught to the curriculum. This is not only true for higher achievers but covers children with all abilities. Smart and digital media component attracts students easily and ensures complete involvement as children are always enthusiastic about playing games and in turn learning playfully. After informal discussion and exchange of opinions over refreshments there were two simultaneous and engaging sessions for mentors and mentees. The former chaired by Karanam Pushpanadam focussed on challenges and opportunities for mentoring Teacher Researchers. The mentors came up with concerns which they face while guiding their mentee for the action research projects. 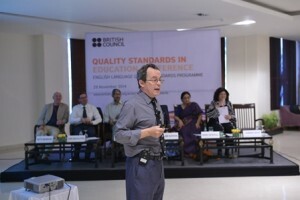 They believe certain level of flexibility in the completion timeframe, regular face to face interaction with mentees for better understanding and communication, multiple review stages, restricted submission size are some aspects which if included as guidelines in delivering the projects would facilitate the mentoring process and enable achieving better and more result oriented outcomes. 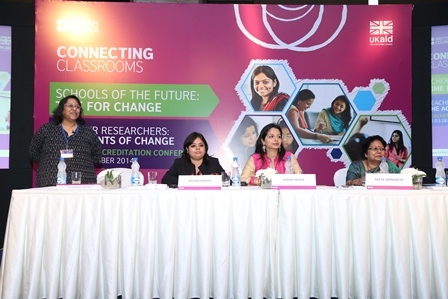 The other concurrent session featured action research success stories which centred around projects aimed at inclusion and mainstreaming students and learners with special needs. This session chaired by Rittika Chanda Parruck featured some truly interesting cases where it has been observed that exposing children with special needs to activities is one of the best ways to assess their strengths and weaknesses and act accordingly. This is a positive and good practice of inclusion which makes children happy and gives them a direction. Susan Douglas mentioned a very interesting practice followed in the UK which is a more social rather than medical model of inclusion of children with special needs where a school adopts to the needs of a child rather than the other way round. 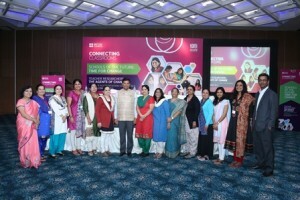 She emphasized that every child is educable provided they are placed in the right settings which they deserve. The presenters acknowledged British Council’s support and effort to bring a positive change in the lives of children with special needs through their work in action research projects. 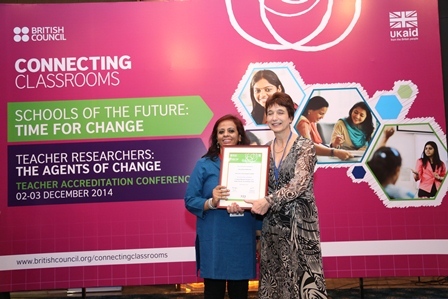 making a positive change in schooling for children. 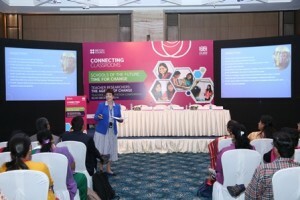 The Teacher Accreditation Conference concluded with closing comments by the chairperson Susan Douglas who acknowledged the participation of all teachers, teacher researchers and all those who supported to make the conference a success. 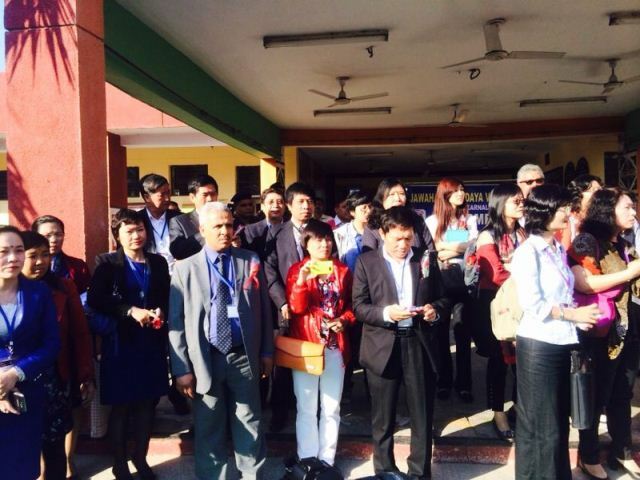 Posted in Schools and tagged education, Schools, Teachers, UK India on December 3, 2014 by Shonali Ganguli. The Teacher Accreditation Conference being held in New Delhi as part of a week-long series of events around school education began on 2 December at with participants from all over the country enthusiastically contributing through various sessions in the field of action research not only in English but education system as a whole. Sam Freedman, Director of Research, Evaluation and Impact at Teach First spoke about the value of research in education system. He emphasized on the importance of creating research based professionals, the steps that leads to research based profession and the positive changes that teacher researchers may bring about. parallel session chaired by John Shackleton featured presentations from ELTReP recipients and Connecting Classrooms researchers on English Teaching. There were interactive Q&A rounds after each session for the audience to share their experience and views on action research. in India. She pointed out the GTA model is adaptable for all students and this can develop a new level of professionalism and motivation in individuals associated with teaching at various levels. 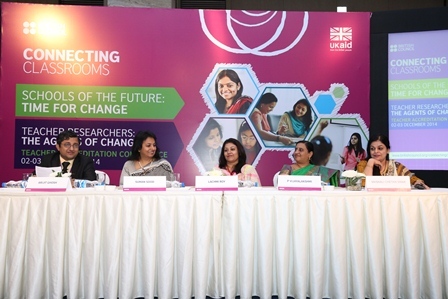 The morning and noon sessions were followed by a round of informal interactions and knowledge sharing over tea while the participants viewed poster exhibition of research submissions by themselves and their fellow researchers. 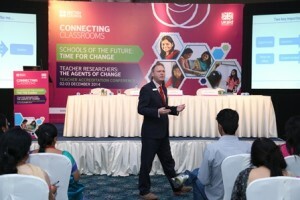 After a round of evening refreshments and discussions was an extremely engaging session by John Shackleton who interactively explained Continuing Professional Development (CPD) framework and how this could help a teacher develop as a professional and evolve into a Teacher Educator to contribute to the teaching profession in a meaningful way. The day concluded with a lot of enthusiasm and positivity over certificate distribution to successful Global Teacher Accreditation Awardees as a token of appreciation and acknowledgement of their meaningful contribution through their research efforts. 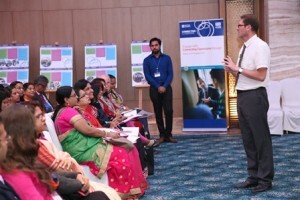 Participants said they found the sessions engrossing and look forward to many more such effective engagements as this experience enabled them grow as professionals.